Historic England has advised that the Ogbourne St Andrew War Memorial has been added to the List of Buildings of Special Architectural or Historic Interest. The memorial is now listed at Grade II. Made of granite with a Latin cross, the memorial is an eloquent witness to the tragic impact of world events on the local community. The aftermath of the First World War saw the biggest single wave of public commemoration ever with tens of thousands of memorials erected across England. This was the result of both the huge impact on communities of the loss of three quarters of a million British lives, and also the official policy of not repatriating the dead which meant that the memorials provided the main focus of the grief felt at this great loss. 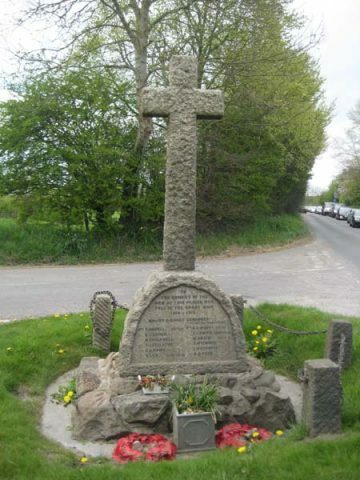 One such memorial was raised in Ogbourne St Andrew in 1922 as a permanent testament to the sacrifice made by the 13 members of the local community who lost their lives in the First World War. Following the Second World War a plaque was added to the memorial recording the names of the two local servicemen who died in that conflict.